Welcome Aboard! Settle back, relax and enjoy a leisurely drive to the Southern Seacoast of Connecticut for the beginning of a great get-away! Upon our arrival in Mystic Connecticut, enjoy some leisure time at Olde Mistick Village, a recreated picturesque 18th-century New England town with small independent shops, boutiques, restaurants and much more. Later we are treated to a delicious dinner at a local restaurant before checking into the Hampton Inn for the next two nights. After a deluxe continental breakfast, we depart for a day of sightseeing in the Connecticut River Valley. 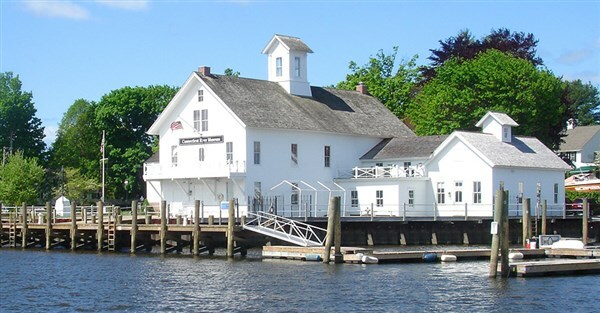 We begin at the Connecticut River Museum, located on the docks of the Connecticut River. Established in 1974 as a small, all-volunteer organization dedicated to the dream of establishing a museum that would preserve the history of the Connecticut River Valley and its people. Discover the regions rich heritage and natural beauty through the museum's impressive collection of paintings, manuscripts, books, art and artifacts. Don't forget to visit the gift shop and pick up something unique to remember your trip to this premier museum. Next, we climb aboard the Essex Steam Train & Riverboat for a 3-½ hour train and boat excursion. First, we board the Essex Steam Train for a 3-course hot lunch in a restored Pullman Dining Car. Enjoy riding through the picturesque countryside of the lower Connecticut River Valley as your train travels to Deep River Landing where we will transfer to the "Becky Thatcher" for an enjoyable riverboat cruise on the Connecticut River. The cruise will take us pass the hilltop castle built by actor William Gillette and the Goodspeed Opera House, a gem of American musical theater. After returning to our hotel in Mystic, Connecticut enjoy dinner on your own at a restaurant conveniently located within walking distance of the hotel. After a deluxe continental breakfast, we depart for a day of sightseeing in Newport, Rhode Island. Upon our arrival, we meet our step-on guide and depart for a tour of Newport's two famous scenic routes. First, we will visit Bellevue Avenue which is lined with opulent "summer cottages", and then we travel along Ten Mile Ocean Drive where we will view more stunning estates and enjoy spectacular views of the ocean. Following our riding tour, we'll visit The Breakers Mansion, for a self-guided audio tour. The grandest mansion in all of Newport, the Breakers is a symbol of Cornelius Vanderbilt's family's social and financial preeminence in turn of the century America. Next, you will have some leisure time to explore Brick Market Place, an open-air market, and browse its many specialty shops, galleries and boutiques along the waterfront. Using your included $15.00 gift card, enjoy a delicious lunch at Panera Bread today. 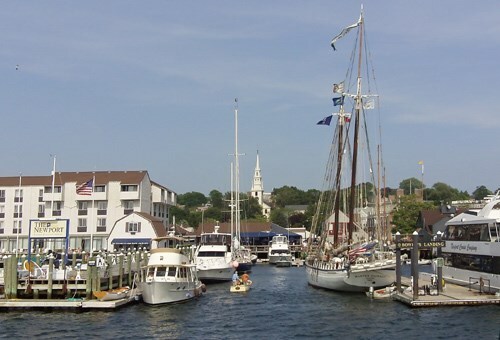 We conclude our day of touring in Newport with a 60-minute narrated cruise through Newport Harbor and Narragansett Bay. The one-hour scenic cruise includes close-up views of the lighthouses, sailing ships and yachts, grand ocean front estates, and more. Following the harbor cruise, we depart for the Riviera Beach Resort in South Yarmouth, Massachusetts for the next two nights. The hotel is located on 500 feet of private beach just outside your door on the warm waters of Nantucket Sound. Enjoy the indoor and outdoor pools and the private beach! Dinner is on your own at Jonah's Pub at the neighboring Blue Water Resort, next to the Riviera Beach Resort. After dinner enjoy an evening walk on the beach. After a hearty continental buffet breakfast, we depart for the Village of Onset where we will board our 3-hour Cape Cod Canal sightseeing cruise, the widest sea level canal without locks in the world. Sit back, relax and enjoy the live narration about the fascinating history and points of interest along the Canal. Points of interest include Massachusetts Maritime Academy, Sagamore Bridge, Bourne Bridge, Vertical Lift Railroad Bridge, Gray Gables (the summer retreat of President Grover Cleveland), Herring Run, Aptucxet Trading Post, Scusset Beach Fish Pier, Sandwich Boat Basin and Cape Cod Bay. A box lunch is included during your cruise. Following our boat cruise, we return to the Riviera Beach Resort where you will have some time to sit, relax, and enjoy the resort's facilities. 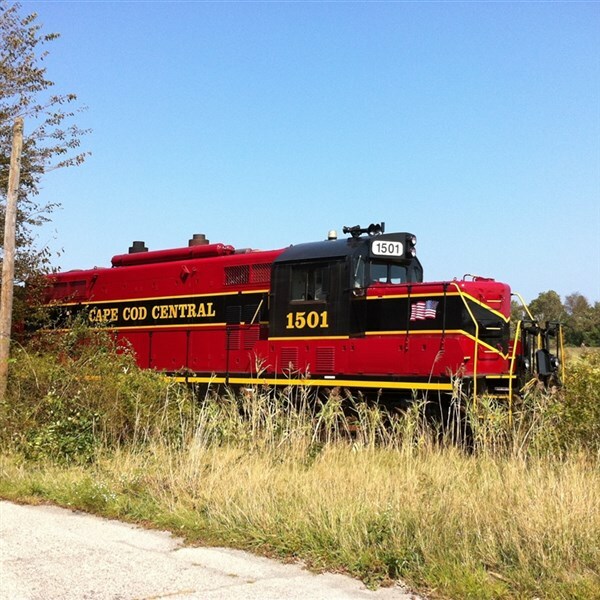 Tonight, we depart for the Cape Cod Central Railroad's Dinner Train. The three-hour excursion takes you past villages, marshland, cranberry bogs, forest and across the Cape Cod Canal on the iconic Vertical Lift Railroad Bridge. Enjoy the traditional and allure of railroad dining when you are served a delicious five-course meal in a dining car. After a hearty continental buffet breakfast, we depart for home with fond memories of New England's coastal communities, and our railway and cruising adventures!